Ralph J. Robbe – Beloved husband of Carol C. Robbe for 58 years. Loving father of Gregory (Joanne) Robbe, Richard (Shelley) Robbe, and Cathleen (John) Rayburn. Devoted grandfather of 8 and great-grandfather of 5. 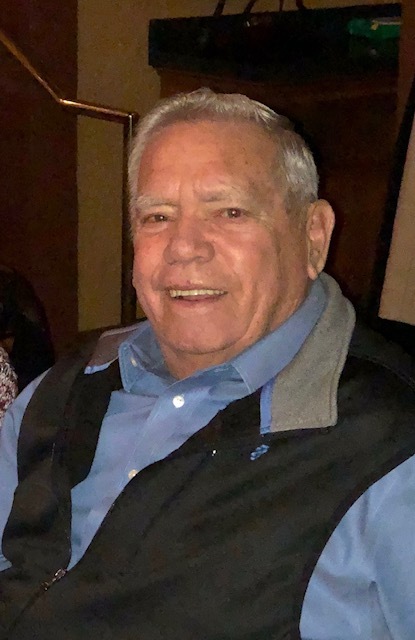 Passed away, November 27, 2018, surrounded by his family. Ralph was a life long member of the Middletown Sportsman’s Club. He was proud of his family and loved spending time with them. Ralph was a dedicated employee of Force Control Industries. He will be missed by all who knew him. Memorial donations may be made to the Leukemia and Lymphoma Society. A visitation will be held Friday, November 30, 2018, from 5:00 to 7:00 pm at Paul R. Young Funeral Home, 3950 Pleasant Avenue, Hamilton, OH 45015. A funeral mass will be held Saturday, December 1, 2018, at 10:30 am at Sacred Heart Catholic Church, 400 Nilles Road, Fairfield, OH 45014.